It's fairly common knowledge now that the "Anthology by Lisa Bearnson" launch through Youngevity was a bust. I can't tell you how disappointing this was! Lisa Bearnson is well known in the crafting community and while I love and respect her, the products just didn't make the cut. I don't think this was any fault of Lisa's. I really think it has to do with going through a direct-sales type company, where they make the pricing/marketing decisions. A short time after the launch it was clear to me that the products just weren't what I love and use. And if I don't love and use something, I can't promote it! Even though I haven't done paper scrapbooking in a while, I still love crafts, make cards, string art, vinyl projects and pretty much all DIY crafting things. Which is why I've decided to launch a blog that shares all the fun projects I've made, how-to's, shopping ideas, and even a little bit of real life. Why Rambling Annie? Well, my sister says I ramble a lot... (gotta love those sisters!). And Rambling LouAnn just didn't sound cool. My husband has called me Annie for over 20 years, and the name just "fit". 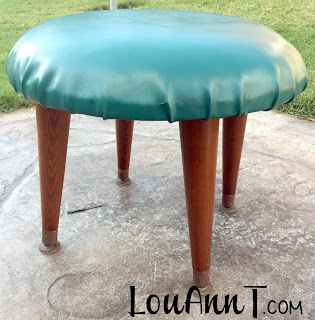 On Rambling Annie you will find all sorts of cool projects: craft ideas, furniture upcycle projects, planner printables, product and food reviews, and even some "real life" posts. The new blog will be going live in just a week or so! In the meantime, I hope you'll join me on social media - and be sure to leave me any comments/suggestions that YOU want to see featured! And I'll be sure to let you know just as soon as I hit that "GO LIVE" button! Wow! It's been a long time since I've posted! The last 1.5 years since my mother passed a lot has happened. I won't go into all the details, but I will tell you that I am more unorganized and scatter-brained than ever! It seems like I have a million ideas, I start 100 projects, and I finish... none! Ok maybe a couple, but too many things are left "almost done" and it's time to change that! 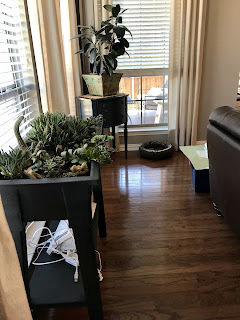 This month I decided to join Serena from ThriftDivings.com's Naughty or Nice Room Makeover Challenge! I joined completely spur of the moment, on November 2, and I need to finish by November 29, so I don't have quite a month. BUT... my room is already started so if I can stick to a plan I should have it done. Like the other projects in our home, I got the room painted, moved furniture in, a few accessories, then left it alone. Unfinished. There are no photos on the wall, the thrifted furniture is all different colors of paint or wood, and the fireplace is not functional (note the candles in front of it!). Here are a few "before" photos. Don't mind the stacks of things just lying around... this is daily life! 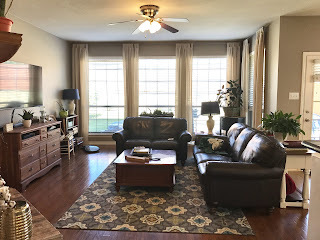 The room was just painted (Perfect Greige, SW) and I love the wall color, but even though the room gets a lot of natural light it still feels "heavy". And nothing is really pulling the room together. I don't like the dark brown couch but it's nice leather so it stays. 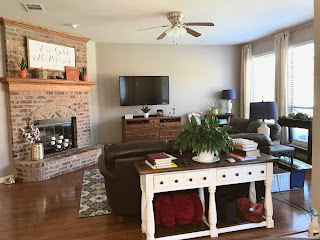 Every piece of furniture except for the couch and loveseat were bought used. Which I love! 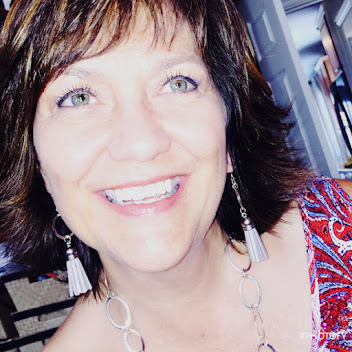 I've always been a thrifty shopper, I love the challenge and joy of finding a great deal. But in this room they are not working together! That's it for now, I will update when I get something done. 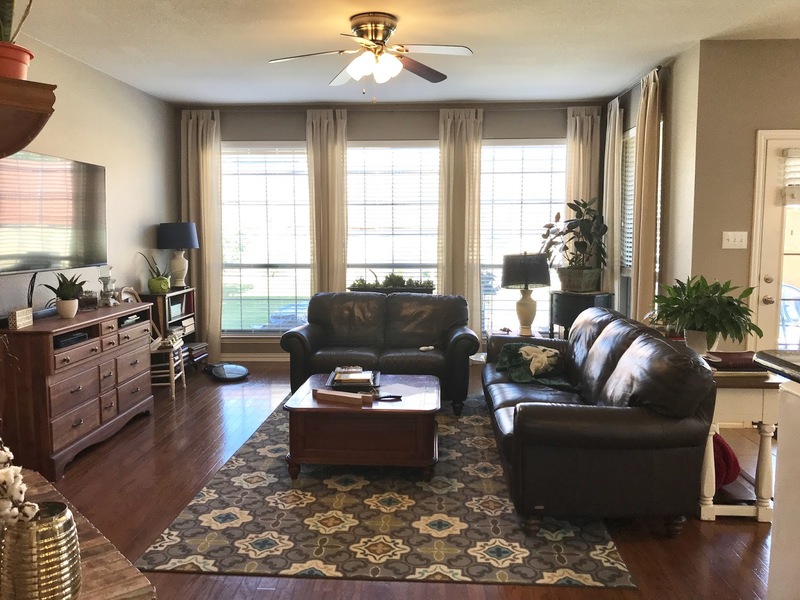 I would LOVE to hear any ideas you have for bringing the room to life. Just comment below! 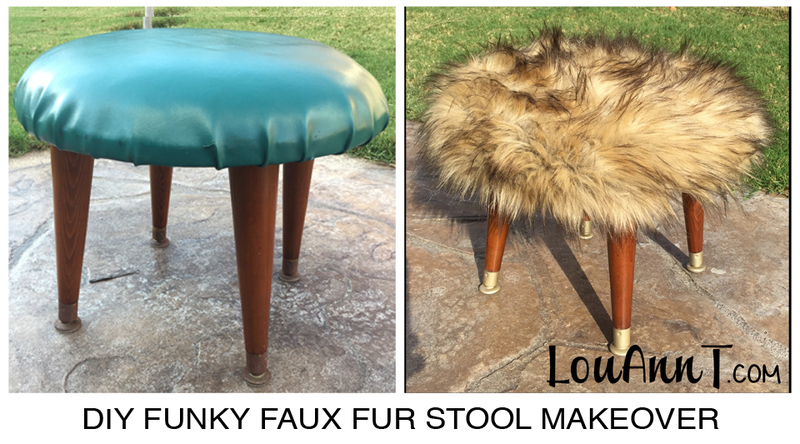 A quick little DIY project to add funky fun to your room! This sad little stool was in my parent's 5th wheel. Mom always rested her feet on it. It's one of the "treasures" I moved it to Texas with me after the estate sale. Sad little stool with rusted metal caps and cracked green vinyl. The wooden legs were in great condition, except the metal caps which were covered with rust. Unscrew the legs from the stool. Tape off the wooden legs leaving only the metal caps exposed. These also have a nice plastic on bottom of the caps so I taped that off also. Lightly sand the metal with fine sandpaper. I basically just wanted to get the metal nice and smooth. Make sure to wipe it down after to get any dust off. Spray paint the metal with your choice of metallic spray paint. I used champagne. 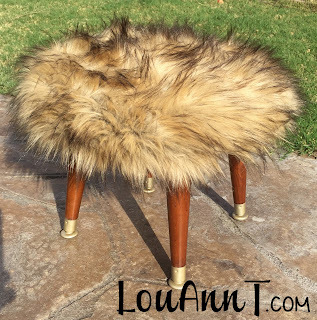 Cut your faux fur to size and staple to the underside of the stool top. Screw the legs back on and enjoy! 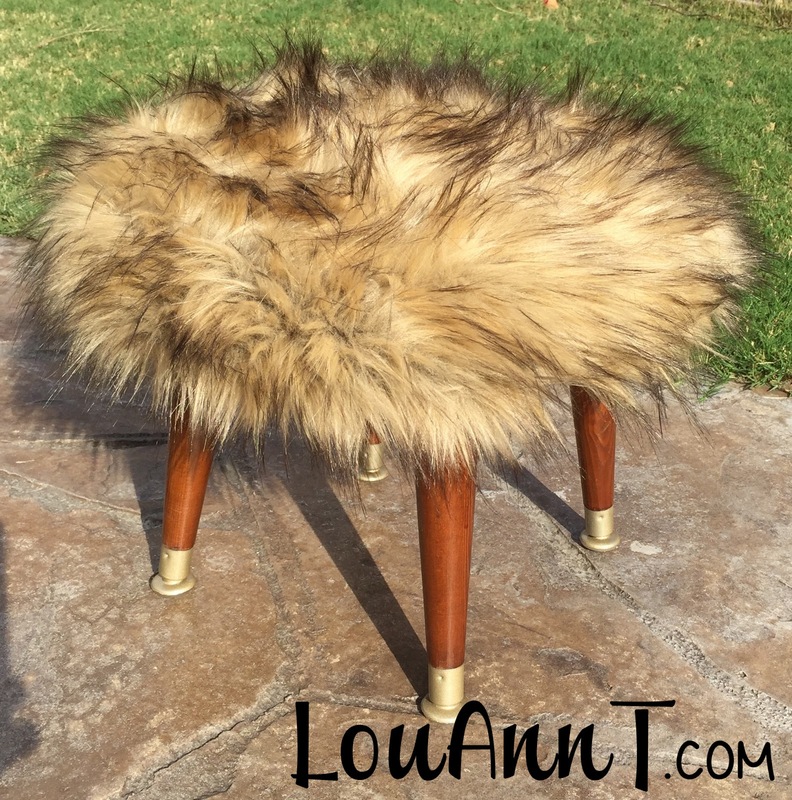 Now this cute little stool ready to sit in the guest room with my antique velvet chair from Grandma Smith's house as a funky accent. 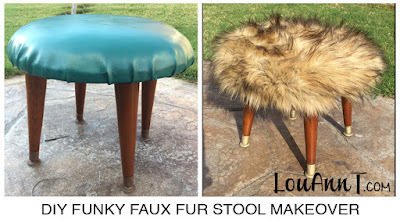 In 2011 I started following several DIY blogs completely enthralled by the ideas they posted. 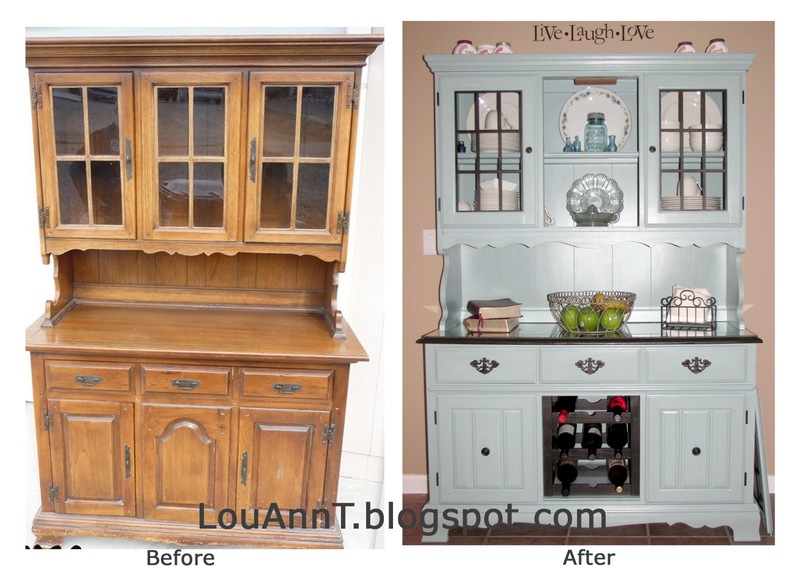 All the old, worn out furniture that they transformed into beautiful furniture to decorate their homes "frugally" were amazing. I read blog after blog and spent countless hours on pinterest. What kept me from trying my own transformation was my Type A, OCD personality that didn't want to do something that wouldn't be "perfect". This china hutch was my first refurbished project. 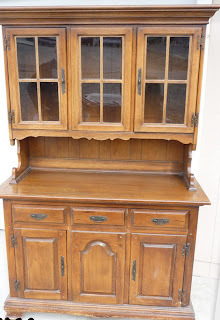 I bought the hutch off craigslist for $50 and completely forgot to take a before picture of it before we tore it apart. Looked great in the photo, the guy said it was wood. It's not! So the first thing to tackle was how to paint laminate. I used oil based primer before the latex color. 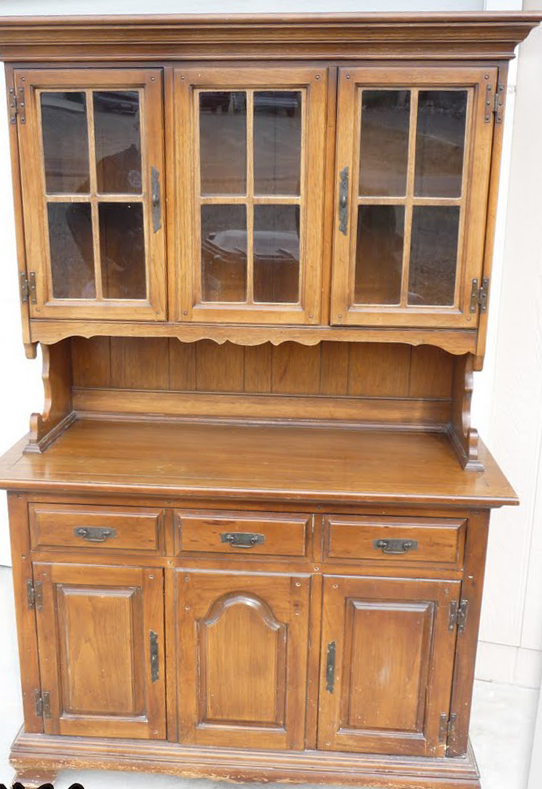 China hutch before - not actual, but closest I could find! 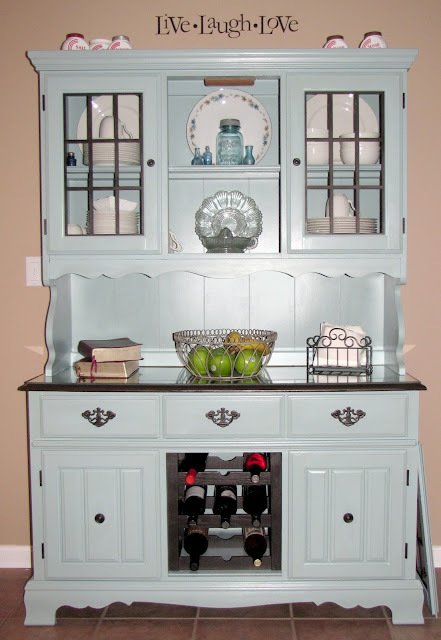 The baker's rack we took out of the room had a wine rack, and we used it - so I knew I wanted to do something with this hutch. I got the idea to take out the middle door and turn that into a wine rack. Um... that was not as easy as I thought! My husband had to cut out the middle shelf (of course I wanted to keep it on the two side doors) - and support it. Then I found a wood wine rack for $3 at a garage sale and painted it. The wine rack wasn't a perfect fit of course, so we had to cut it down (basically remake it) for it to fit! Example of the amount of work that went into it. Much more than I expected! eMeals - 12 months of meal planning! I just purchased this deal through Living Social 50% off! and already printed out my next week's meals planner, and the shopping list. This is THE BEST meal planner I've seen - it gives you a full rounded meal, and bases it on what is on sale that week at the store you pick! I don't mind cooking, but I HATE meal planning. For only $29 a year this was a no brainer for me! Check it out- the deal is only for 4 more days! It's 50% off, can't beat that! need a $50 Anthro card?!?! Hey I'm LouAnn! A busy wife, mom, and grandma who loves Jesus, family, and DIY.